Good evening, my dear readers! I hope you have all had a lovely holiday season thus far, and I am sharing a little musical throwback with you since I have been remiss about updating lately. I have something else I want to share soon but I haven’t quite worked up the nerve yet. Here’s “Auld Lang Syne” from the 2012 Christmas album Maestro and I did – it’s probably one of my favorites, and I hope you enjoy it! music post: a Standard Christmas. Okay, yes, I realize that it’s been quite a while since an update. And I’ll have a real one soon, I promise! But for now: here’s Secret Government Eggo Project III: THE RECKONING a Standard Christmas. (Yes, the period is part of the title.) Called such both because it has become a standard part of our Christmas season, and also because it’s full of jazz standards. Yes, we think we’re unbearably clever. Please give it a listen, and let me know what you think! It is also available for purchase on my Bandcamp site! a little bit of early Christmas cheer! I never posted anything from last year’s Secret Government Eggo Project; I don’t remember why I didn’t. I’m sure it had to do with my many and varied insecurities; I just didn’t want to put myself out there last year. Sometimes it’s just disheartening to be met with a resounding “meh”, you know what I mean? I hope your holiday season has been joyous and not too stressful so far, my dear darlings! If you get the chance to listen, please let me know what you think! This ended up being a ton of work (my very first “edited” video! in that I clipped out a bit and had to stitch two videos together! poorly! and then I had to figure out how to convert it! look at me learning new things!) considering I look sickly and weird here. I wanted to get this done finally though! SO HERE IT IS! but somehow, I can see just exactly how I’d be. Gosh you guys! I have been TERRIBLE over the past few weeks, have I not? I’m stealing a few minutes before bed tonight (well, when I should already be in bed, really) to update. I ended up being called in for two more days of extra work on the same movie! Again, not really supposed to talk about it, but it’s definitely an enjoyable day’s work. I don’t know how much extra work I’ll end up doing, for lots of reasons. Maybe that’ll be the subject of my next vlog? I had my first rehearsal for the Christmas show at the House of the Seven Gables a couple of weeks ago – I’ll be playing Beth March this time! I had…one other audition? I think? That I ended up not getting. Last week, we had a rehearsal for the singing competition and I had to bail early to go to class so I have no idea what everyone sounds like? Speaking of which, the competition is this Saturday!!! Maestro and I’s Secret Government Eggo Project (III: THE RECKONING) is well underway! In non-performing-related-but-busyness-related news, I’ve also been attempting National Novel Writing Month, I started a new job!, and schoolwork has been piling up. Part of the reason I decided to do NaNoWriMo this year is that I am often better at managing my time when I’m a little overbooked (because I have to be!). Hopefully I’ll be able to do a vlog or monovlog again in the next week or so! I also want to thank David-Matthew Barnes for stopping by my blog with some incredibly kind words. I am still a little bit beside myself! just as long as I stay in my own little corner. Wow, it’s been a week and a half – ugh, and I was doing so well for a while there! I feel like I completely lost momentum over the past week. I even have a monologue or two all memorized that I could have recorded and uploaded by now. I’m more disappointed with myself than thinking anyone is out there waiting with bated breath, but still – I’m very sorry, you guys! 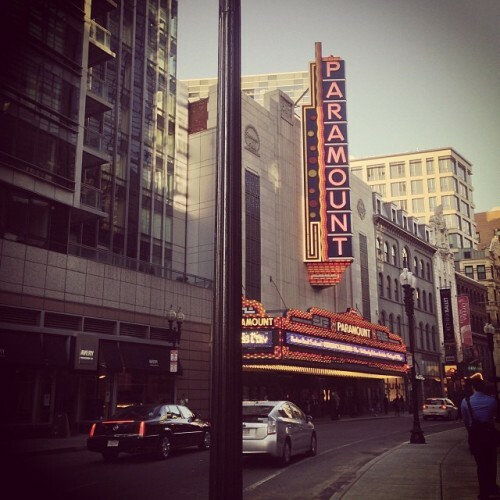 Wednesday I had an audition in Boston at Emerson College for some of their student films/student film class. I’m really looking for ways that I can get footage for a reel and this looked like a great way to do that. It was an interesting experience, I’ve never auditioned for a camera before. It’s always a nice feeling to make the auditors laugh! It’s been over a week and I haven’t heard from them, so I’m left to assume I didn’t get any of the parts they were casting. I narrowed down my song choices for the upcoming singing competition – either “If I Loved You” (from Carousel) or “Think of Me” (from Phantom of the Opera), I still haven’t quite decided yet. Oh and I ended up being in the paper for that, too! Since I sort of lost momentum on finding new things to do last week, I didn’t have anything exciting lined up for this week. I’m poking around now, though, and I’ve found a couple of interesting-looking things to submit or audition for. Last week was a pretty draining week, emotionally, and next week is my first week at my new “real” job, so I’m trying very hard to keep my momentum going! It looks like it’ll be a few more days til I get to record anything, too, unless I can wake myself up early enough tomorrow or Saturday to try and get my first monovlog* up, which I’ll definitely try to do!